From the perspective of outsiders Portugal’s second city, Porto, will always come across as the little brother to Lisbon. Maybe understandably so: it’s smaller, a bit more out of the way and somehow over the centuries also chose to be a bit more secluded from the rest of the country. But don’t be lured into any kind of underestimation: this city is a fantastic weekend destination (and, of course, longer if you so prefer) with loads on offer. Once you arrive you’ll be surprised to learn of the relaxed atmosphere meeting you. For a busy industrial and commercial centre it’s remarkably laid back and slow-paced. The main reason for this is that most of the industrial activities take place way out of town, where the population of some 1.5 million goes along with their life, away from the city centre, leaving the historical district with an old-world feel to it. There’s only some quarter of a million inhabitants in the city proper and while wondering around the winding hillside streets and the beautiful riverfront, it’s easy to fall in love with what the city has to offer. Although Porto is very much a Portuguese city, it still has a different character from the rest of the country. For instance, whereas fado – this oh-so-typical Portuguese melancholic music – dominates further south in Lisbon and Coimbra, in Porto it almost disappeared for a considerable amount of time, only recently making a comeback on the entertainment scene. While in Porto this secludedness is often confirmed in day-to-day life, for instance it’s not unusual hearing people referring to their city as “o Porto é uma nação“: “Porto is a nation”. As in most countries with two dominant cities, there’s a fair amount of antagonism between the two main hubs and it’s not uncommon that the portuenses – as the locals in Porto are called – use the expression “Porto works, Braga prays, Coimbra studies, and Lisbon gets the money” with more or less seriousness in their tone of voice. If you are into your football, this sentiment is severely multiplied as soon as you engage in any discussion with the locals about the rivalry with the teams from Lisbon. The fact remains, Porto has always been the more bourgeois of the two cities, heavily influenced by the British, early on establishing itself as a very strong Atlantic mercantile hub. Where the city lays today, there has been settlements already since the time of the Romans, back then called ‘Portus Calle’. A lot has happened since. 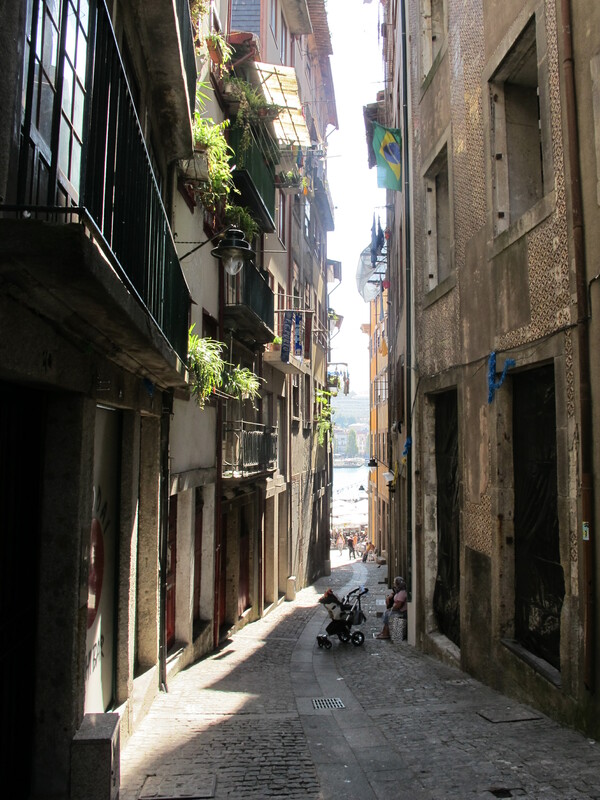 Today’s Porto is a very easy destination to quickly get to know and to fall in love with. 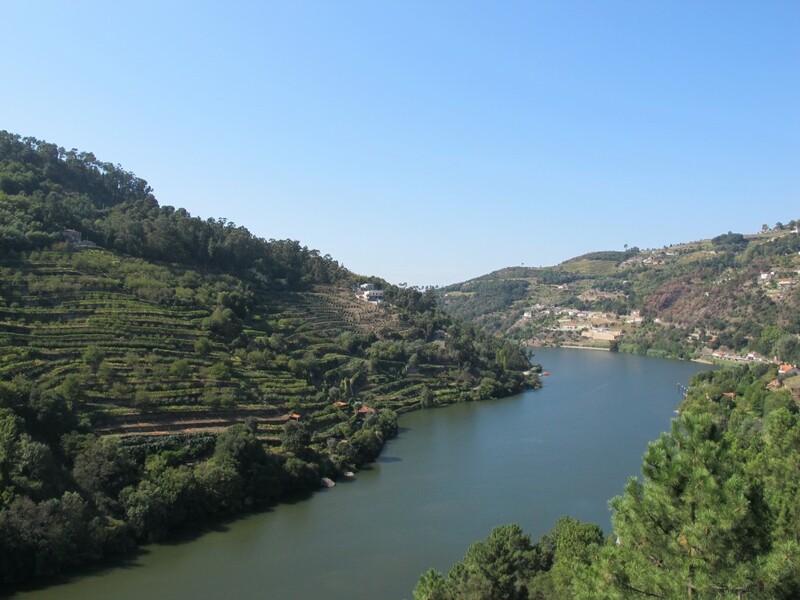 Most of the city life is concentrated around the riverside life on the two banks of the Douro river. Given that the city’s setting is very hilly, changes over the centuries have been gradual with new additions mixing with what’s been already there, creating a unique and varied architectural style. The main focal point of the city is the riverside area, called Ribeira. Along the west bank of the Douro the area spreads out with quaint restaurants, interesting buildings and some boats that moor along the bank. 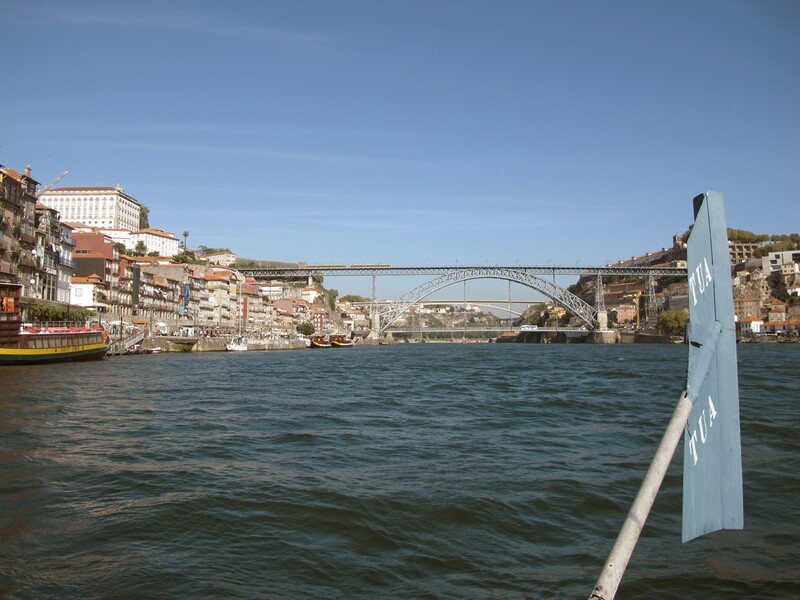 Porto has been a UNESCO World Heritage Site since 1996, with Ribeira as the focal point of it all. Soon thereafter, Porto was the European Capital of Culture in 2001 and for this event the city transformed and went through some substantial rejuvenation. Across the river is the suburb of Gaia, which in theory is another city, even though the two parts can really be considered as one. The two cities are connected by six spectacular bridges, which serve as a fantastic setting to look at from afar, while also offering dramatic views over the city. The most spectacular of the bridges is the Dom Luís Bridge (Ponte Luis I), a 44 meter high metal arch bridge built already in 1886, when it was considered to have the longest spanning arch in the world with its 176 meters. It has two decks and it really sets the tone for the whole city, looking at it from the shore or walking across it. Climbing the hills of Porto is a daunting task during hot summer weeks, but well worth it, views are spectacular and streets very atmospheric. The city centre is not too expansive, giving you enough of time to explore without rushing it. If your feet get tired – and they will – technology is there to help you. There is the Funicular dos Guindais, a cable railway system that connects the Ribeira part of town with the upper district around the Batalha Square in the San Bento neighbourhood; maybe it’s not very spectacular, but definitely more comforting for your feet going uphill. There’s also the panoramic Ascensor da Riberia next to the bridge that quickly transports people between the lower and upper parts of town. Across the river from Porto proper, in the suburb of Gaia, you’ll find the warehouses of notable Porto wine companies, such as Kopke, Taylor, Ferreira, Fonseca, Sandeman and many others. Not as you didn’t know this, but Porto is the port wine capital of the world and really, this is a highly enjoyable pastime. Tours in the cellars vary in price, but generally cost 3 to 5 Euros and include a tasting. For an even more authentic port wine experience, you can take a boat upriver on the Douro, or go to the wineries by car. Many of the famous wineries are to be found in the valley, and as some of them are well tucked away your best bet is to go there by car. The scenery is just amazing and a weekend up among the green hills around the Douro is really an optimal weekend escape. But let’s stay in the city for now. 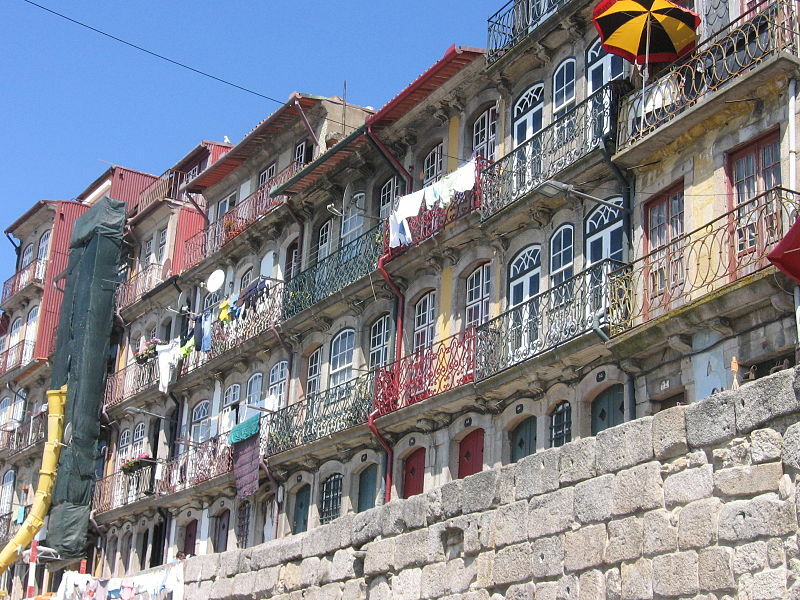 Porto is the de facto contemporary art capital of Portugal. The main attraction in this respect is the ‘Fundação Serralves’, a gallery with rotating exhibitions and situated in a very scenic setting . Some of the other main highlights the city has to offer are the ‘Centro Portugues de Fotografia’ and the ‘Museu Nacional Soares dos Reis’. We ‘ll delve a bit further into the art life of Porto for a more focused overview of what you can expect later on. 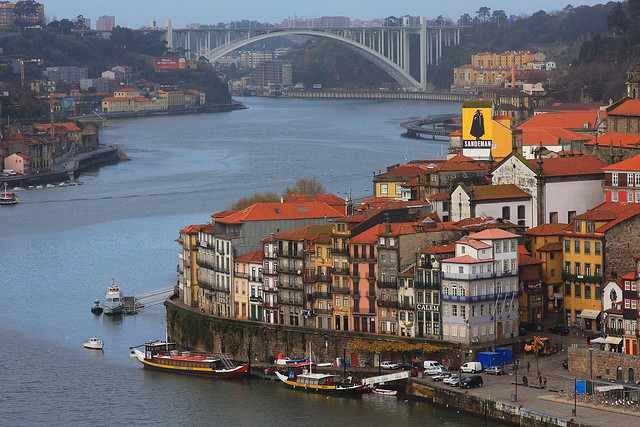 Porto is not only rich in sights, it’s also a great place for staying. The city is filled with atmospheric hotels and bed & breakfasts with plenty of character. The nightlife is fairly laidback and characterised by a very late start (past midnight) and the main areas are brimful of people hanging outside the bars on the streets. Porto is considered the culinary capital of Portugal, even the ‘antagonists’ from Lisbon will admit this. You’ll find both general Portuguese cuisine, with highlights such as ‘bacalhau’, but also some more rare delicacies only to be found here like ‘tripas à moda do Porto’, which is basically beef tripe with white beans; maybe not for everyone? Are you convinced yet? 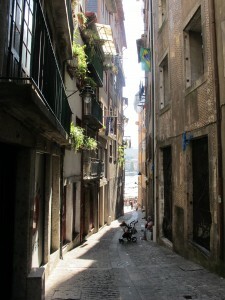 Art destination Porto is truly a weekend trip to warmly recommend. We are adding new content about Porto regularly, this is only the beginning. To stay on top of new stories and information, please follow us on Facebook, Twitter or Google Plus. Shortly we are also launching our newsletter with stories, special offers and previews of upcoming events from around the world of art and culture: please subscribe here.